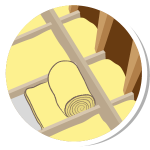 Insulation in your loft and walls makes your home more energy efficient and helps to reduce your energy usage and your bills. Energy saving and efficiency are the first things to look at when you want to reduce your energy consumption. 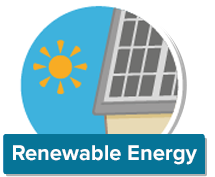 You could be losing a lot of energy through your walls and roof if your home isn’t energy efficient. 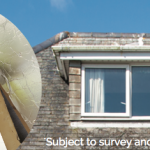 Think about Loft, Cavity Wall and External Wall Insulation and LED lightbulbs. 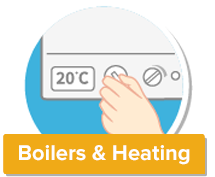 Once installed theses could each save £100s off your energy bill each year. If you need advice, then call our friendly team, who will be able to talk you through your options and find out the suitability of your home for these measures. Read about ways to control energy use in your home on our blog. 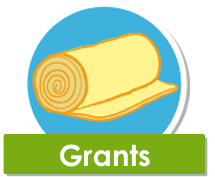 Is the money you are spending to heat your home filtering away through the roof? Is the money you are spending to heat your home leaking away through the roof? Most homes built after 1935 will be constructed with a masonry cavity wall. 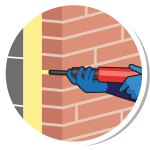 Insulating the cavity can save you energy. 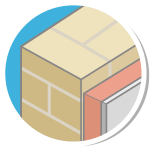 Around 35-45% of the heat in your home is lost through solid walls and insulating these properly could reduce your energy bills. 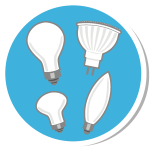 LED lights offer low energy lighting, reducing lighting bills by up to 80%.